MANY people reading this article will have experienced the loss of a loved one at some point in their lives whether it is due to illness, an accident, miscarriage, stillbirth or military operations. Some of us will need some extra support and guidance at this time to navigate through our grief. If you’re posted overseas and need to return to the UK for compassionate reasons such as a close relative’s serious illness or death, contact the Joint Casualty and Compassionate Centre (JCCC). They will make a recommendation on whether compassionate travel can be granted. For those of you who have relatives living overseas it’s advised that you make contingency plans for any unexpected travel. Your Unit Welfare Office can give you details on any public funds or other support that may be available. 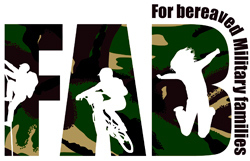 For young people aged up to 19 who have suffered the loss of their soldier, Family Activity Breaks (FAB) offers family adventure holidays and a welcome break to meet and socialise with others. FAB is staffed by volunteers from the MOD, who help as mentors; lend a hand or simply be there for someone to talk to. They are all trained by a bereavement counselling service who specialise in supporting children and young adults. The SWITCH community outreach programme for 8-14 year olds. Cruse Bereavement has been granted funding of over half a million pounds by the MOD to further develop and raise awareness of bereavement services available for the military family. SSAFA’s BFSG was set up by a group of bereaved families who had lost a serving family member to provide mutual support, advice and information. It’s open to all family members including spouses, partners, boyfriends/girlfriends, parents, siblings and grandparents. This is open to young people over 18 who have lost a brother or sister who was serving in the Armed Forces. They hold regular meetings to support one another and to share memories of their loved ones. A free and confidential telephone helpline and email service provided by SSAFA. It is independent of the military chain of command and provides a supportive listening and signposting service for current and former members of the Armed Forces and their families. You can talk about anything, including personal concerns, worries and problems. The trained staff will give you factual information or ‘signpost’ the appropriate ways forward. Available Monday-Friday, including Bank Holidays, and can be accessed from anywhere in the world. The line is open from 10.30am – 7.30pm (UK local time). Visit https://www.ssafa.org.uk/how-we-help/forcesline/ to access the email service. 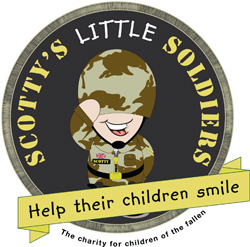 Scotty’s Little Soldiers is dedicated to supporting the children of men and women killed while serving in the British Armed Forces. The charity provides Christmas and birthday gifts, treats, trips and activities for the families of the fallen as well as enabling them to use the charity holiday lodges. See our article on page 29 of the summer edition of Army&You or visit www.scottyslittlesoldiers.co.uk for more details.